Erik Kratz has been around for a while. He has a great reputation as a defensive catcher. Supposedly, pitchers love to throw to him. His bat looks a better than the average catcher and the power looks like it could be around league average if not a bit better. Last season in the minors he hit .266/.326/.540 with eight homers in 141 plate appearances. 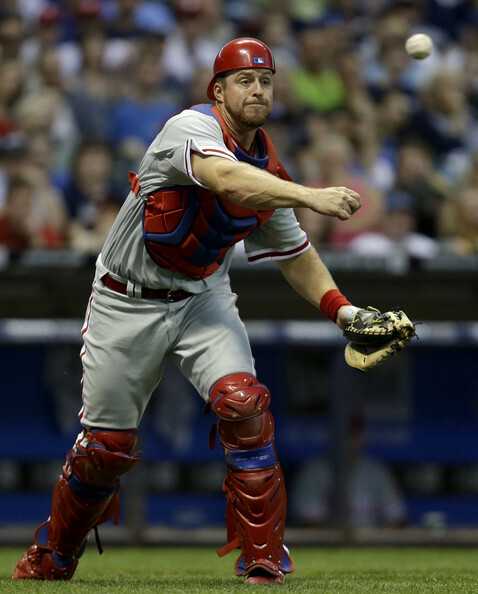 He was called up to the Phillies and received 157 PA in which he batted .248/.306/.504 with nine homeruns. He was scheduled to spend 2013 in the majors as a back-up but thanks to Carlos Ruiz getting himself suspended, Kratz figures to get an extra month of starter at-bats. He should be more than worth his purchase price.